Purchase Rosetta Stone 24 Month Online Subscription for $149.00 and get a free Fire 7 Tablet! WOW! This sale is amazing! There is a great price on Rosetta Stone! If you have been thinking about getting it, this is your deal! Check out the GREAT price! And today you get a free Fire 7 Tablet. 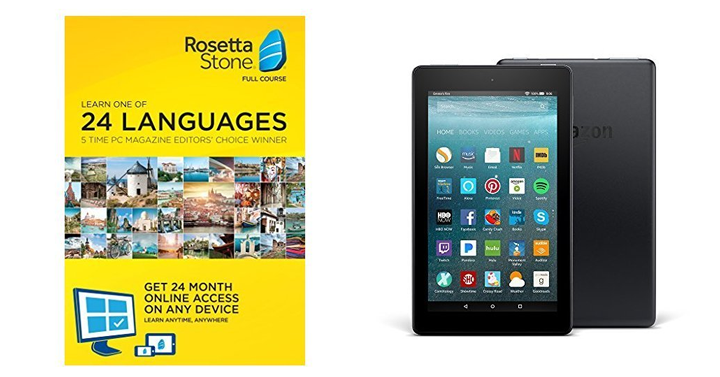 Check out Amazon’s DEAL OF THE DAY – Purchase Rosetta Stone 24 Month Online Subscription and get a free Fire 7 Tablet! Priced at just $149.00!